Kids nowadays have an easy access to the internet, and usually, that causes a whole new branch of nightmares for parents in terms of filtering content and keeping any indecent exposure online to be at a minimum. 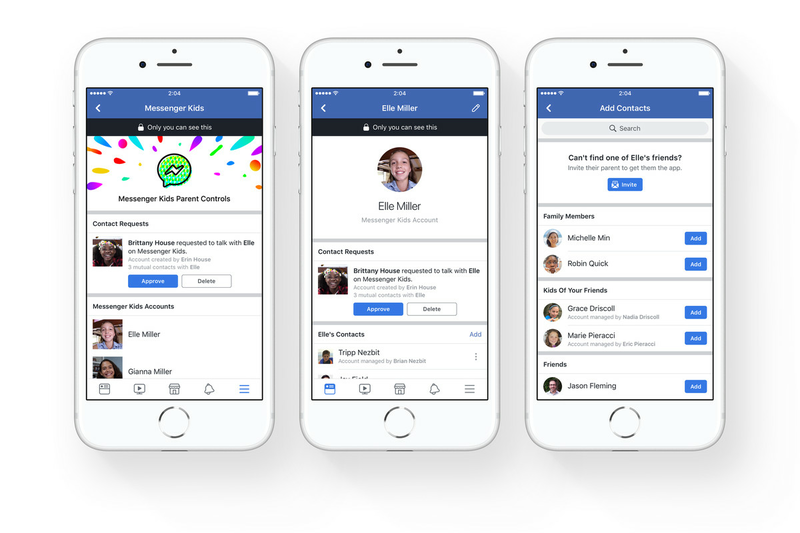 One of those social media platforms which have a tendency to be overexposed would be Facebook, but earlier this week, Facebook had announced a new Messenger app which would be directed at kids. This new app is to be called Messenger Kids, and this app will allow kids to chat with their friends, make video calls with kid-friendly filters, and be able to send worksafe GIFs. While this may sound rather dangerous to kids, Facebook has stated that the highest safeguards have been out to place in order to ensure that the child is not exposed to anything they are not supposed to see. When setting up the app, parents can choose who their child can be friends with and they will also be responsible for setting up the app for their kids. Friends cannot be searched via the app due to privacy reasons, but once found, parents will be the one to have the last say. Additionally, Facebook has also stated that it will collect very little data from this app, while also ensuring the app will remain ad-free. Facebook has collaborated with a dozen experts and over 250 online safety organisations to develop this app, and it has also met with parents from all across U.S to understand the concerns that parents are facing. Whether the Messenger Kids would be a success or failure is anyone’s guess, but with Facebook, we believe that it will eventually be accepted and soon to be part of the norm. FATCHECK with Philips! Are You Healthy? My 2Cents: Would You Eat These Food Mash Ups?